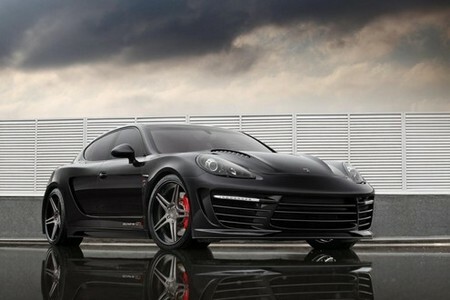 If you don’t like the looks of the Porsche Panamera, and lets be honest you don’t, help is at hand from the Russian company TOPCAR. It is bloody expensive though since it’s limited to just 25 units, and well just look at it! It is one of the heaviest packages for we’ve seen for the car we’ve seen so far. It gives it a coupe-like kinda look. The body kit on this car includes front and rare bumpers, bonnet, front and rare fender extenders, front and rear doors, side skirts, as well as front spoiler lip, rear diffuser, rear wing, extended wheel arches and electrically operated rear doors. To top it all off TOPCAR offers 650 or 700 hp engine upgrade packages.